Are you accustomed to vendors providing close to what you need? 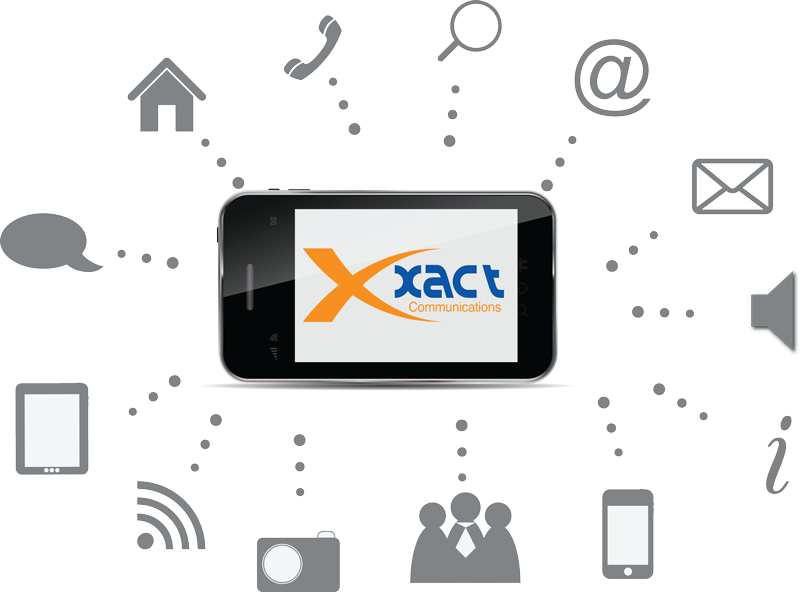 Trust us to provide the Xact solution for your voice and data needs. Choosing a telecommunications system for your franchise can be a nightmare. For an effective yet simple communication and reliable data solution to your complex problem, look no further than Xact Communications. With our unique Business-In-A-Box, you simply pick the package that's right for your franchise - we do the rest. Business-In-A-Box integrates all the communications assets your business needs. A single Internet connection delivers everything you need for voice and data, including telephone system functionality. The features list is phenomenal, and with a price point per user ("seat") that is easy on your business' budget. Features such as Call Waiting, Call Park/Hold/Transfer, FindMe/FollowMe, Click-to-Dial, and administrative features that make setup and use of your phone system a breeze are all standard. Unified messaging, with voicemail converted to email, email notifications, and a network-based, centralized Contacts database make handling your business in the office and on the road easy. Already our customer and looking for support? No problem! Give us a call at (888) 747-9228 or visit our Support Page. We are a preferred vendor for several franchises. We can anticipate your communications and connectivity needs, and have the tools to fulfill them. Need PCI or HIPAA compliance? We can help with that. Need failover connections to keep critical systems (like point of sale) running? We do that everyday. Not sure exactly what your needs will be to get your new franchise up and running? We've already got the checksheet ready.